The title leaf of Rowing Blazers by Jack Carlson (Thames and Hudson, 2014). It shows Ellie Piggott and Brianna Stubbs of Wallingford Rowing Club. They won Gold in the lightweight doubles at the World Under-23 Championships in 2010. © Carlson Media Inc.
Today, 2 July, is the first day of Henley Royal Regatta and it is also most people’s first chance to see the exciting new book that HTBS has been talking about for some time, Rowing Blazers. ….. looks at the authentic striped, piped, trimmed, and badged blazers that are still worn by oarsmen and women around the world today, and at the elaborate rituals, elite athletes, prestigious clubs, and legendary races associated with them… The stunning original photographs, many by “prep” guru F.E. Castleberry, are taken in situ at the historic boathouses, campuses, and team rooms of clubs in the United States, Great Britain, the Netherlands, South Africa, New Zealand, Australia, and beyond. These enchanting portraits are… accompanied by histories, anecdotes, and captivating descriptions of the esoteric traditions behind each blazer. 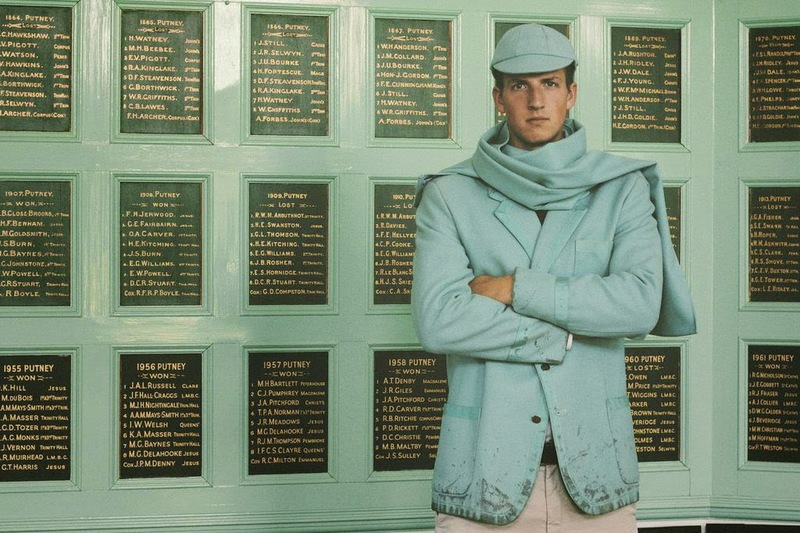 Geoff Roth, who rowed for Cambridge University Boat Club in 2010, wearing his ‘Blue’ blazer in the Captain’s Room of CUBC’s Goldie Boathouse, The jacket’s stains are unexplained but by tradition a CUBC blazer is never cleaned. © Carlson Media Inc. The chosen colours and details comprised a code that revealed the college, club and particular crew with which a rower was affiliated. The British, after all, have always had a hyper-awareness of subtle social distinctions and a flair for uniforms and pageantry. 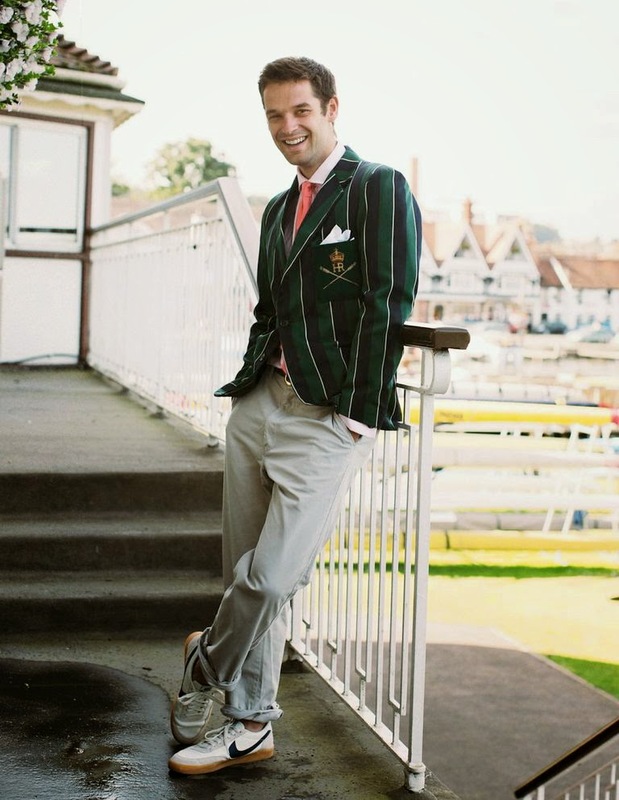 The understated Oxford University Boat Club blazer, here worn by Colin Smith (OUBC 2004, 06, 09). While a dark blue jacket with dark blue trim and no badge may not be the boldest of garments, it is can still be very effective. Jack quotes the Livingstone brothers (who rowed against each other in the 2003 Boat Race) in their book, Blood Over Water (2009): ‘It is astonishing what the sight of a Blues blazer can do to many a sensible, well-adjusted girl’. Where can I buy one? © Carlson Media Inc. I have to make two declarations before reviewing this book. Firstly, I liked it before I even saw it and this not a very professional approach for a reviewer. Rowing Blazers is very much a ‘Hear The Boat Sing’ sort of thing as it shows how a forward looking, innovative and modern sport such as rowing can still produce and parade these very clear acknowledgements of its origins, history and heritage. Secondly, perhaps as proof that rowing ability or good looks are not a requirement to be included, I am pictured in my Auriol Kensington regatta blazer, trying to look as though I have the right to be alongside Murray and Bond, Steve Redgrave, the Winklevoss brothers et al. Chris Bartley, now a member of the British lightweight four, a winner at the 2010 World Championships and a silver medallist at London 2012 in his King’s School Chester Boat Club blazer. The ‘HR’ cypher on the badge stands for Henry VIII who founded the school in 1541. © Carlson Media Inc. It is unusual to take much note of the words in any book that is predominantly about the pictures but Rowing Blazers’s is an exception. If the photographs were removed, the text alone would still be an absorbing read. Jack’s writing is both pithy and informed and more space is allocated to the printed word than is often the case with such publications. His researches reveal many delightful and/or obscure facts and stories and also challenges several myths (though he does perpetuate the defamation of John Phelps and his role the 1877 ‘Dead Heat’ Boat Race)! In the case of the entry on Lady Margaret, the boat club of St John’s College, Cambridge, several ‘tall stories’ are examined. The tale begins when a St John’s crew allegedly mounted a sword on their bow during a race and accidentally killed the cox of the crew in front. When St John’s Boat Club was banned ‘forever’ as a result of this, the story goes that they reappeared as ‘Lady Margaret Boat Club’ and wore bloody red jackets to mark the incident. All this is ‘pure fantasy’ but the very real red jackets worn by LMBC are significant. Jack holds that as rowing developed as a sport at Oxford and Cambridge in the early nineteenth century, colourful flannel ‘rowing jackets’ or ‘boating coats’ appeared as practical garments to be worn on the water, both to identify the crews and to keep them warm. Soon, however, they were adopted as part of a young gentleman’s informal dress après-rowing. The first recorded use of the term ‘blazer’ (in inverted commas) to refer to one of these garments was in the Cambridge University General Almanac and Register for 1852 – but solely to describe the ‘blazing red’ boating coats of Lady Margaret Boat Club. It was only eighteen years later, in the 1870 edition of the Almanac, that all boat clubs’ jackets were called ‘blazers’ and the term soon spread. Jack holds that it is a myth that it was the coats worn by the crew of the Royal Navy ship, HMS Blazer in the mid-nineteenth century that gave rise to the name, calling it ‘a classic case of false etymology’. 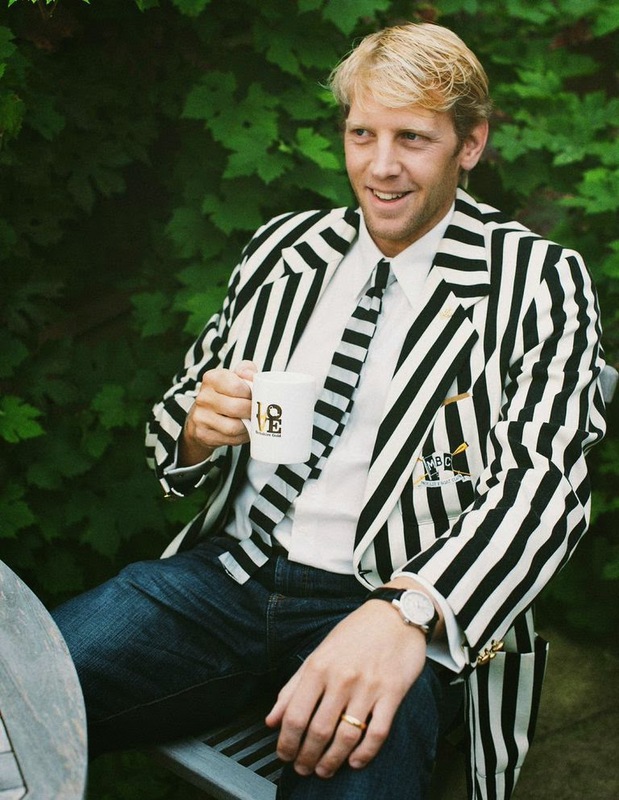 One of the book’s more informal pictures shows Andy Triggs-Hodge MBE in the unofficial but popular version of the Molesey Boat Club blazer. 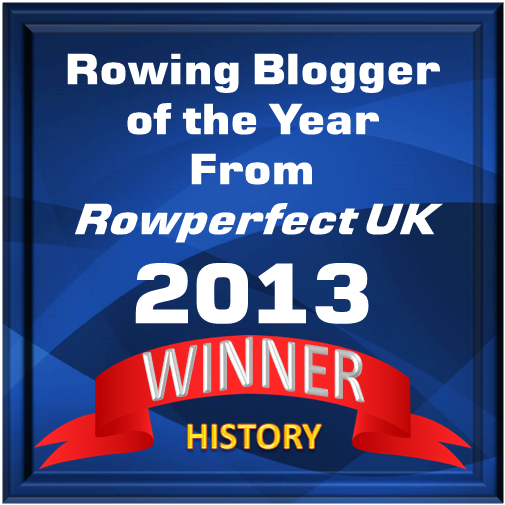 Andy won Gold in the British Coxless Four in Beijing and in London. He also stroked the winning Oxford crew in the 2005 Boat Race and so presumably has an OUBC blazer and a couple of British Olympic Team ones as well. © Carlson Media Inc. So much for the prose, what of the pictures? Some photographs are pure ‘prep’ and would not be out of place in a Ralph Lauren catalogue. Others have more of a journalistic, Sunday newspaper ‘colour supplement’ feel and a few owe something to reportage photography – but all are a delight. The fact that the blazers are all modelled by ‘real’ rowers could have produced problems. At the risk of perpetuating outdated stereotypes, I think that when amateur models pose to be photographed in a professional context, many men worry about appearing effeminate (and so tend to adopt a ‘manly scowl’) and many women fear that they will either be portrayed in some sort of sensual way or that some imagined physical defect will be highlighted (and so appear slightly uncomfortable). Remarkably the photographers for Rowing Blazers seem to have (almost entirely) overcome these problems with the 250 plus ‘real people’ that they pictured. However, perhaps the models are secondary and the real stars of the book are both the blazers and the settings in which they are pictured. 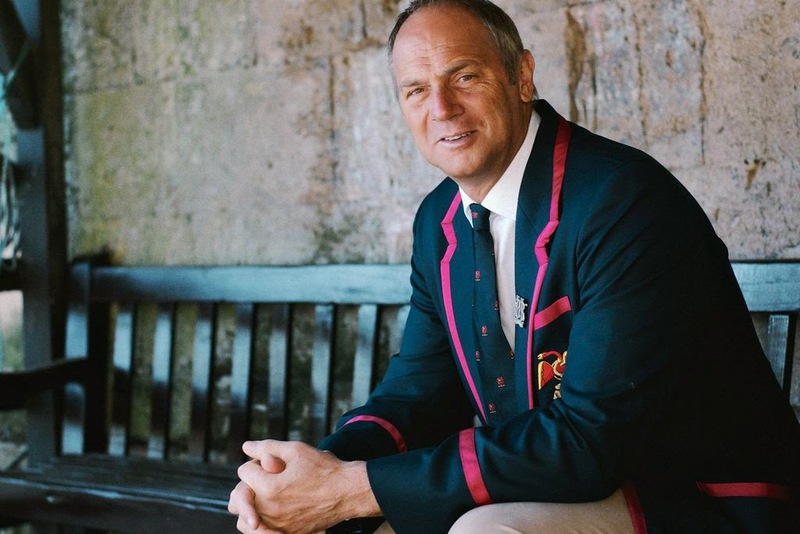 Sir Steve Redgrave CBE, the ‘local boy made good’ in the colours of his home club, Marlow. Famously he won Gold at five consecutive Olympics. Though only 52, he could be described as ‘the grand old man of British rowing’ especially as it seems likely that he will become the Chairman of Henley Royal Regatta later this year. © Carlson Media Inc.
My favourite photographs are of the near rags worn by some Dutch student clubs (which, at Henley, are also a nice counterpoint to the pristine jackets especially purchased for the occasion by many American crews). The British sometimes like to think that they have to monopoly on eccentric customs and traditions but many universities in the Netherlands score higher on the ‘madness meter’. 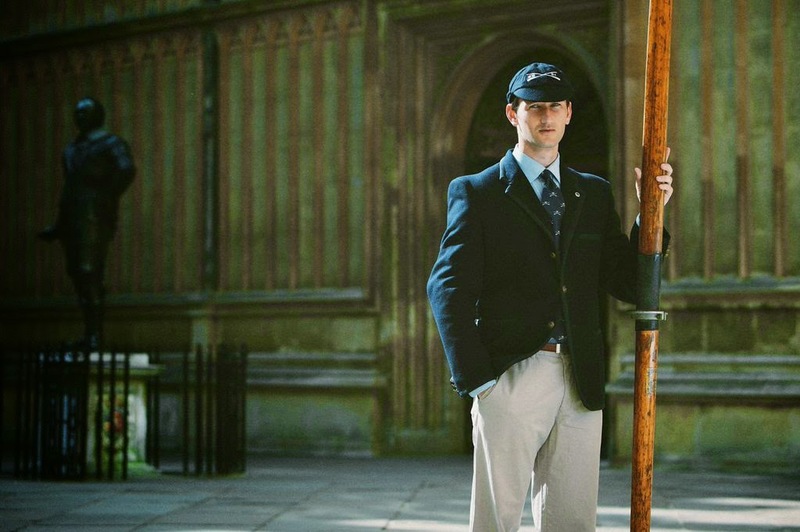 Exact customs vary from boat club to boat club but the basic idea is that the same blazers are passed down from one generation of students to the next. They suffer particularly as they are worn in the post regatta ‘fights’ in which oarsmen attempt to wrestle each other to the ground by their lapels – but repairing and cleaning is only allowed in very exceptional circumstances, if at all. A familiar and distinctive sight at Henley, the inherited blazers of clubs such as DSRV ‘Laga’, ASR ‘Nereus’, and KSRV ‘Njord’ seem to come in two sizes – ‘too big’ and ‘too small’ – and in two conditions – ‘dirty’ and ‘disgusting’. Whatever their crimes against tailoring, they are worn with enormous and justifiable pride. I hope that this book serves as an introduction for the uninitiated into an otherwise arcane world and brings the rowing community in touch with our sport’s colorful heritage. And I hope readers have as much fun perusing the book as we did making it. I am sure that all three of these hopes will be realized. After a short time spent in the pages of this book, you will feel as if you were Jack’s companion on his aquatic and sartorial road trip, sharing with him the ‘fraternal spirit and enthusiasm’ of the rowing community on his journey into the ridiculous but delightful world of rowing blazers. A picture not from the book but from the HTBS archive, showing Jack Carlson (far right) celebrating his Henley Medal for coxing Taurus to victory in the Britannia Challenge Cup, Henley 2013. 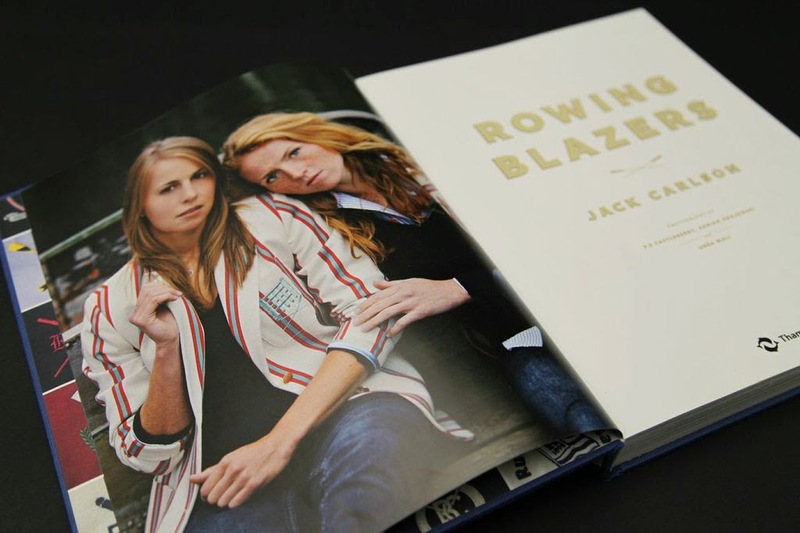 Rowing Blazers is published by Thames & Hudson in Europe and was officially released on 26 June. The book is available from Rock the Boat, New Wave, Leander Club and the Henley Royal Regatta Shop. Of course, you are also able to buy a copy in Henley at Richard Way Bookseller, 54 Friday Street, or give them a call at INT+44+(0)1491-576663.The book will be published by Vendome in North America, and will be released there in September. U.S. residents can pre-order signed copies here. 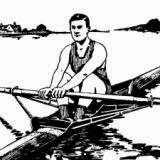 *The best example of a rowing book like this is Regatta: A Celebration of Rowing by Benjamin Ivry (Simon and Schuster, 1988). Thankfully, now out of print.